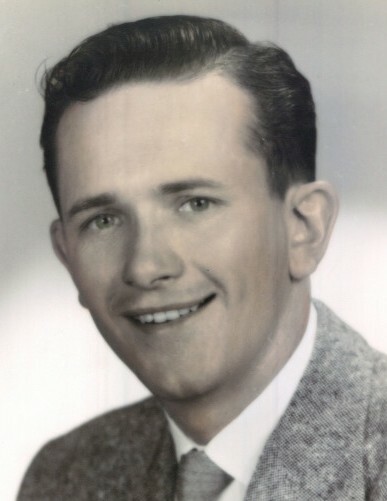 Brannock Scott Page, 91, passed away on Tuesday, February 12, 2019 at his home. He was born in Alamance County to the late Charlie Henry and Roberta Elizabeth Page and was married for 60 years to Peggy Sue Huffines Page who survives. He was a former employee of Glen Raven Mills and retired from AMP, Inc. after 23 years of service. Brannock was a member of Lakeview Community Church and was a U.S. Navy veteran serving during WWII and the Korean War. He is survived by his wife Peggy; son, Charles Allen Page (Kathy); grandchildren, Mary Allison Page and LauraAnne Page and a sister, Gaynell Elizabeth Page Murray (Ernest). He was preceded in death by his parents, sisters, Corrina Mae Susan Page Aldridge, Nora Lucille Page Vaughn, Merita Astor Page Perry Rich, Dixie Lee Page Sartin, Omie Inez Page Snipes and brothers, Columbus “Lum”, Calvin Coolidge and Kayo Sippio Page. The funeral will be held 11:00 AM Saturday, February 16, 2019 at Lakeview Community Church by Pastor Gerald Sanders with interment to follow in Alamance Memorial Park. The family will receive friends from 6-8 PM Friday at Lowe Funeral Home & Crematory. In lieu of flowers, memorials may be made to Lakeview Community Church, 101 Boone Rd., Burlington, NC 27217.